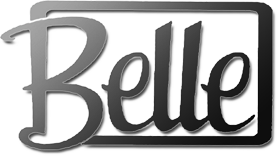 Belle Jewellery was established in 1989, over the years the company has steadily grown and currently supplies an extensive range of fashion accessories to the full spectrum of retail outlets – ranging from individual boutiques to major high street retailers. Our wide diversity of customers enables us to maintain a comprehensive range of leading styles to compliment our existing traditional designs sourced directly from international manufacturers. This enables us to pass on the highest margins to our customers whilst maintaining a direct relationship with the design, manufacture and quality control of our products. Our team of experienced professionals are dedicated to providing the finest level of service to each and every customer whatever their requirements. We have a cash and carry warehouse centrally based in Leicester where you can come and browse through necklaces, brooches, earrings, bracelets, scarves and other fashion accessories. We have a low £100 minimum spend and have on site parking for all customers.